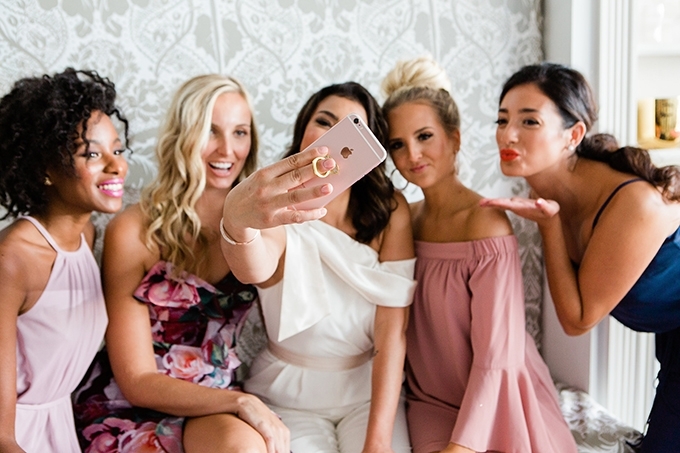 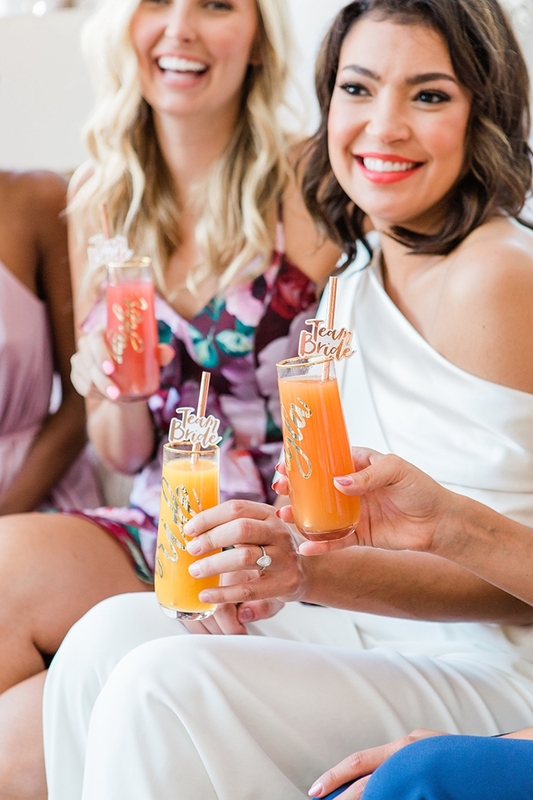 While bridal showers are a way to celebrate the bride, what do you do to thank your besties for standing by your side on your big day? 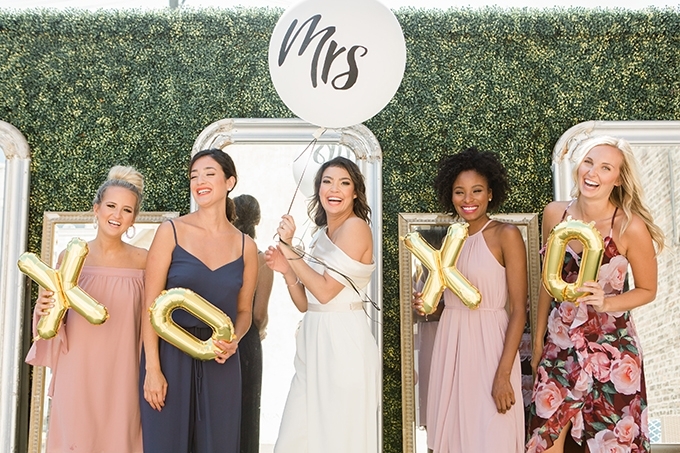 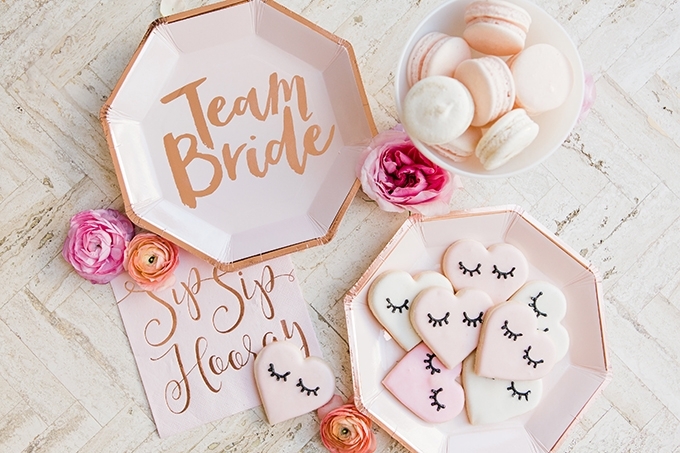 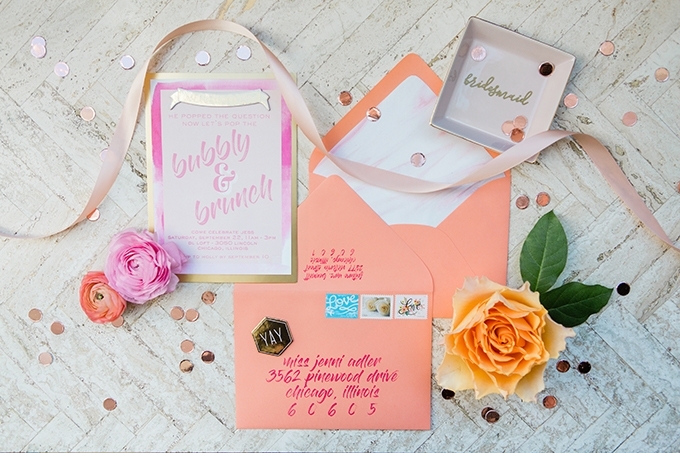 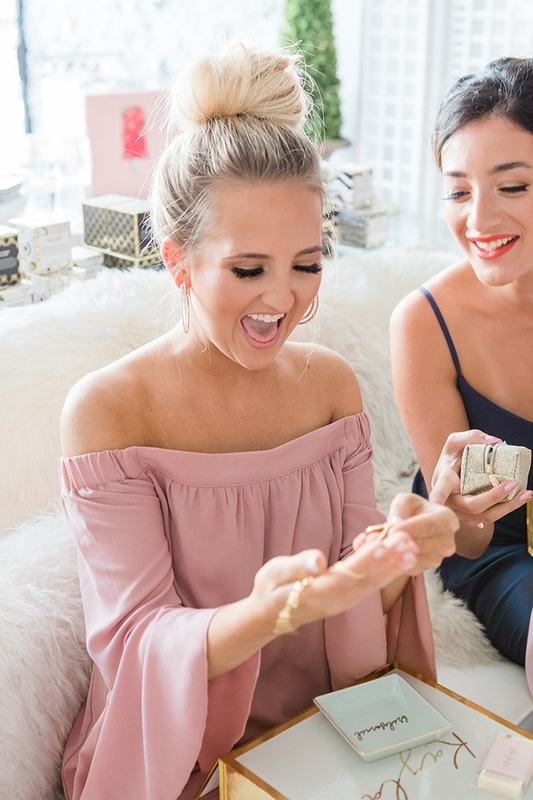 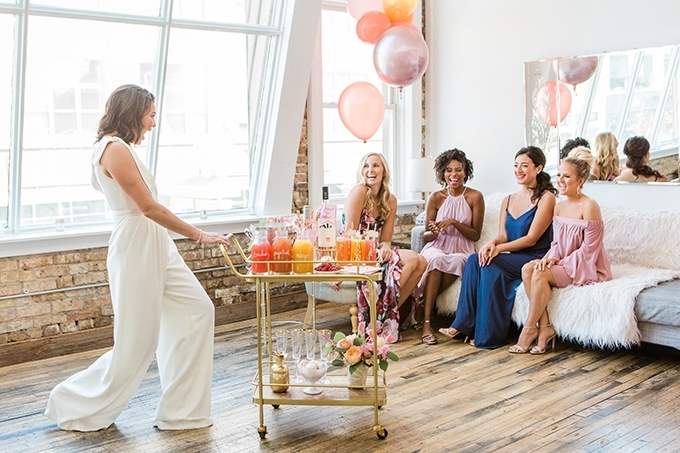 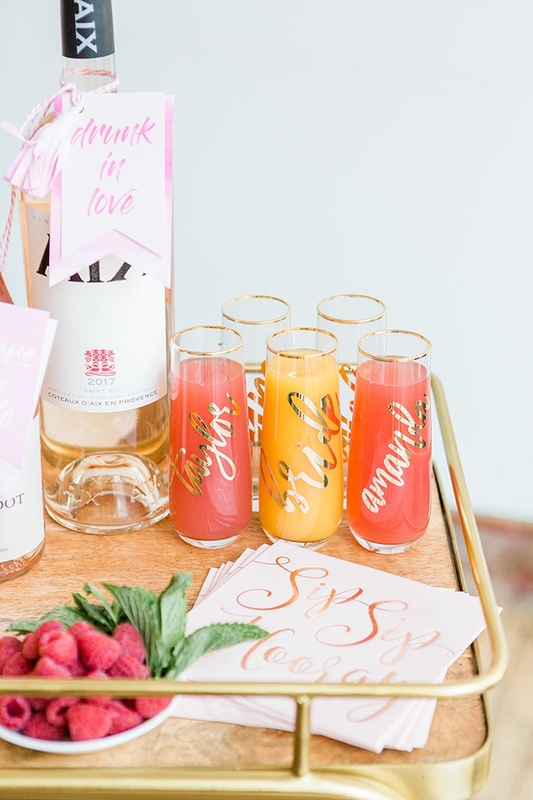 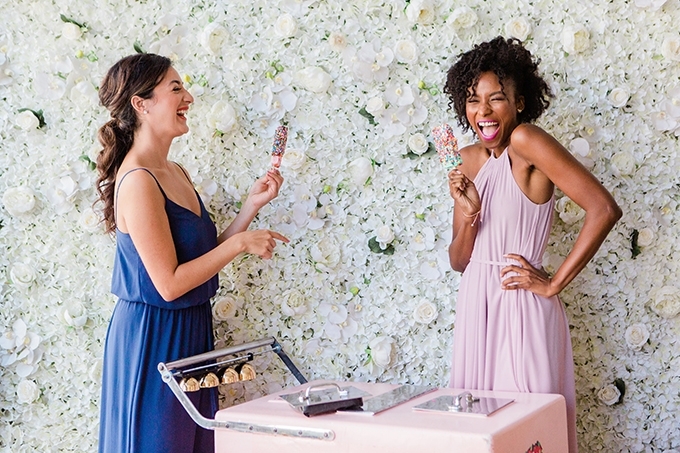 A ‘Bridesmaid Shower’ is the perfect time to show your favorite ladies how much they mean to you and a great chance to hang out before the wedding! 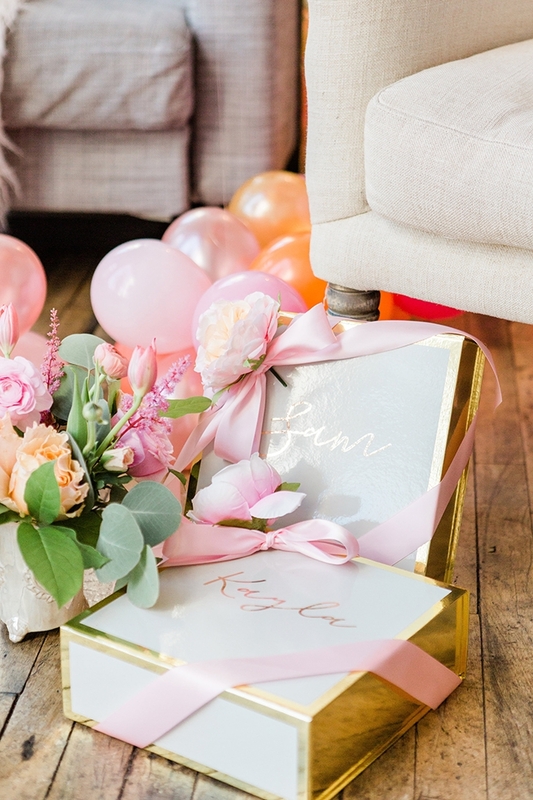 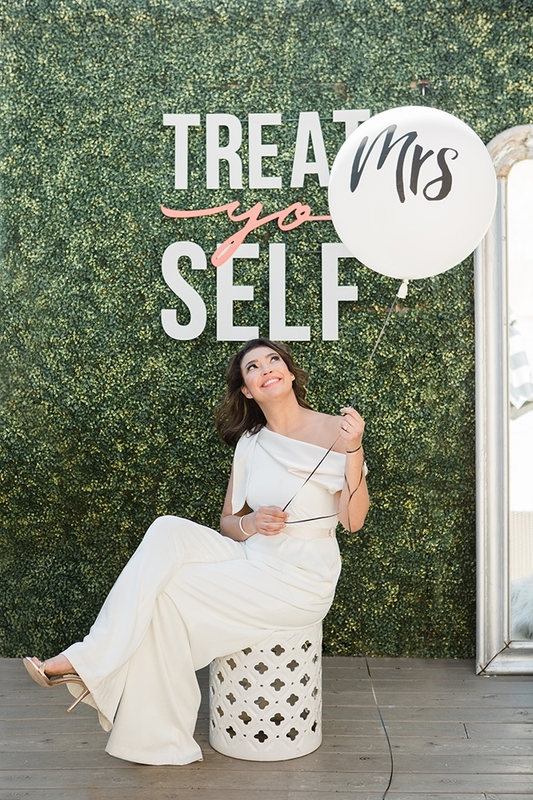 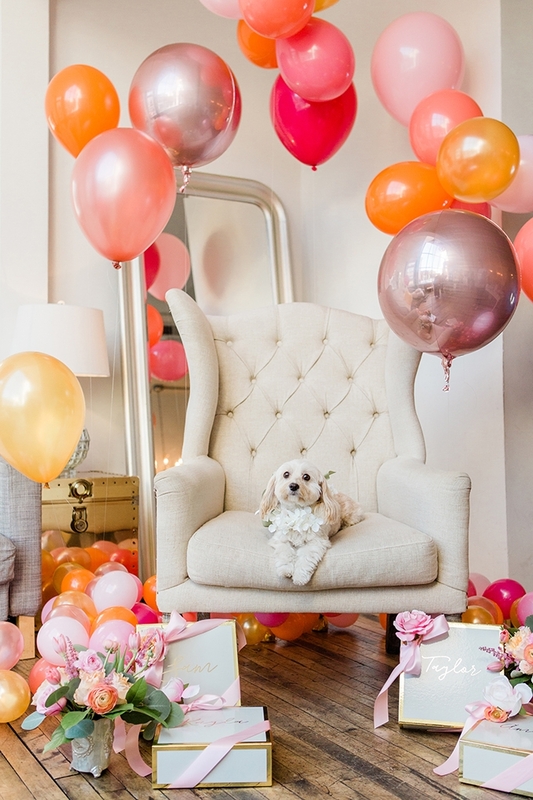 G&G had so much fun styling this festive and balloon filled fete with Aisle Society showcasing the amazing gifting goodies from David’s Bridal. 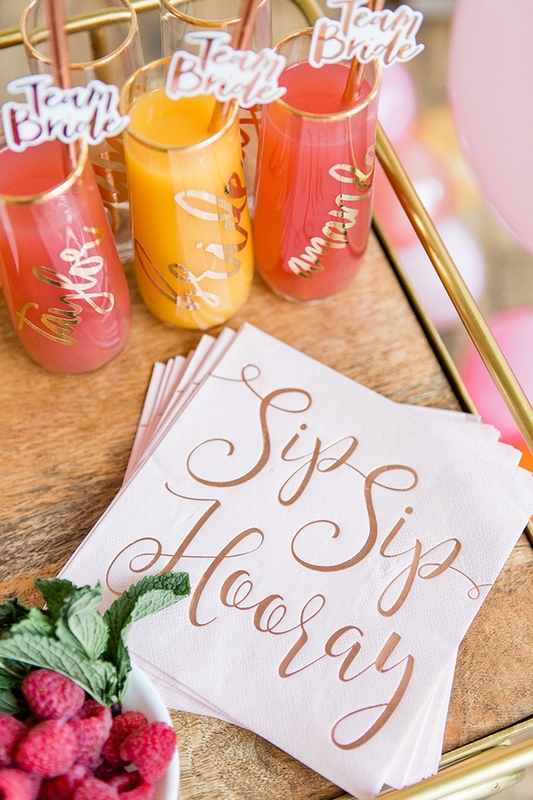 Every party starts off right when cocktails are involved, so sharing a bit of bubbly is a must. 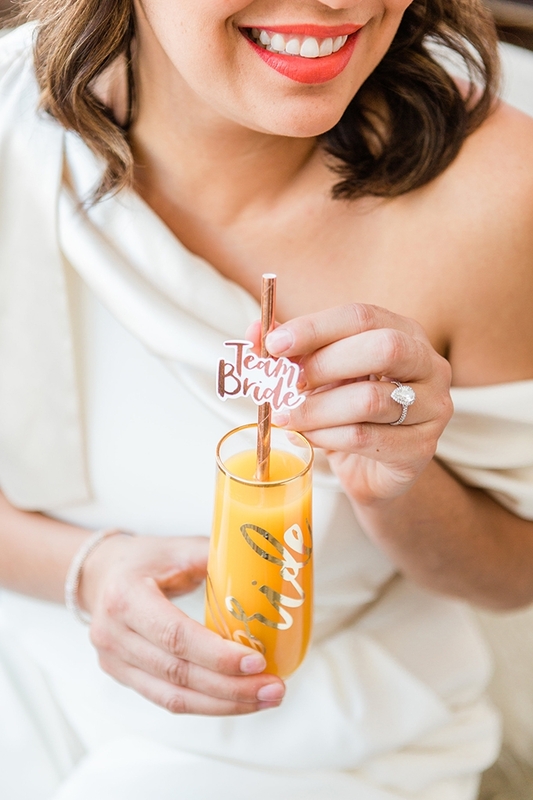 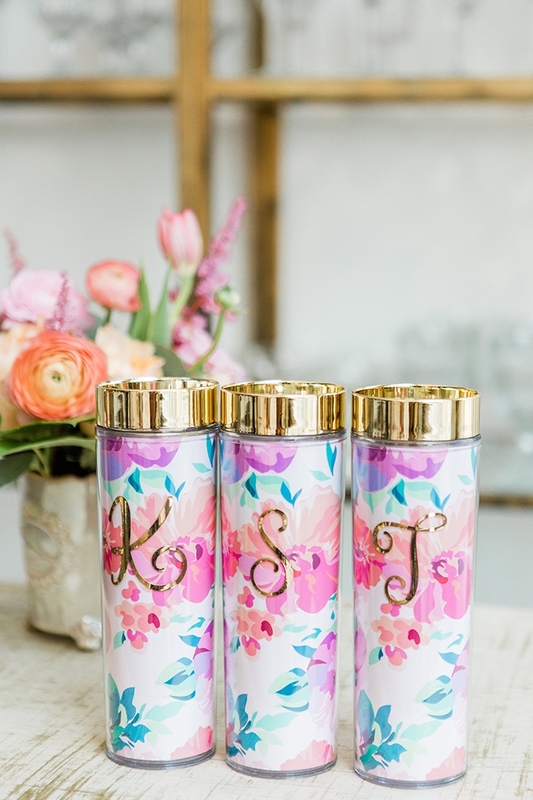 David’s Bridal makes your bar cart cuter with personalized gold foil champagne glasses for everyone and adorable #teambride straws and napkins. 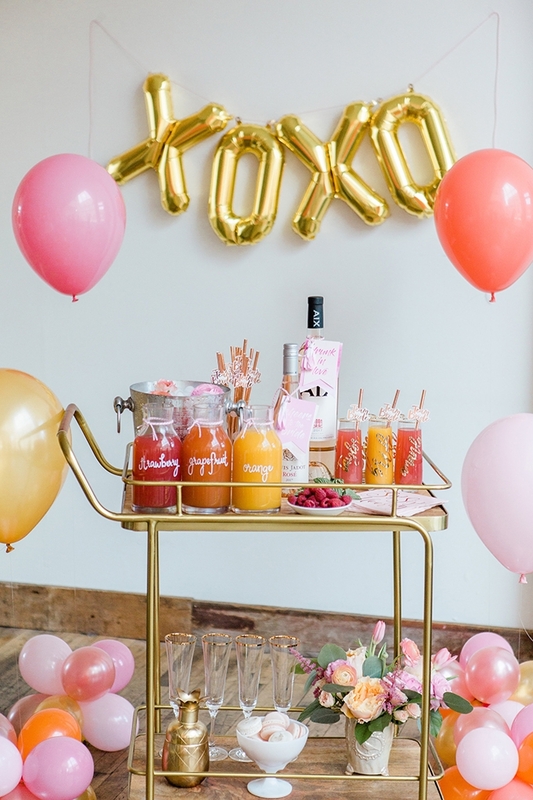 Their XOXO balloons are the must have decor accessory! 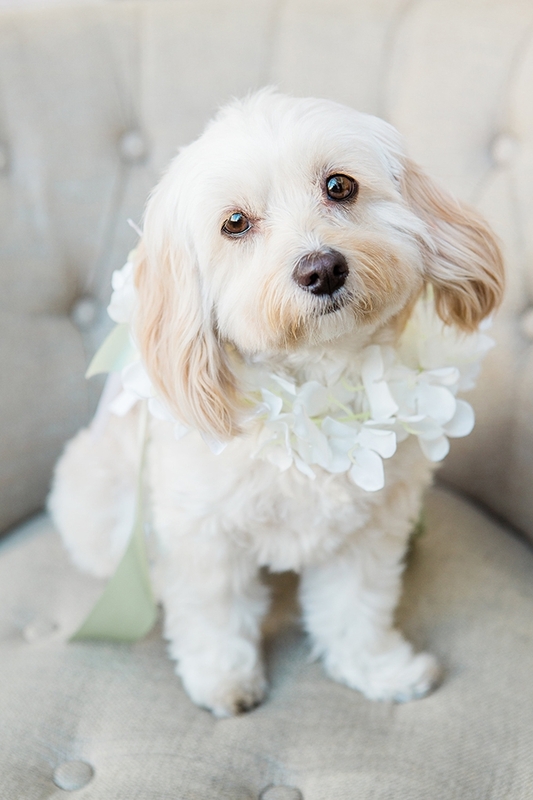 All the ladies look fab in David’s Bridal’s selection of cute cocktail dresses and modern jumpsuits, and even sweet Mollie the pup was dolled up in their floral dog collar. 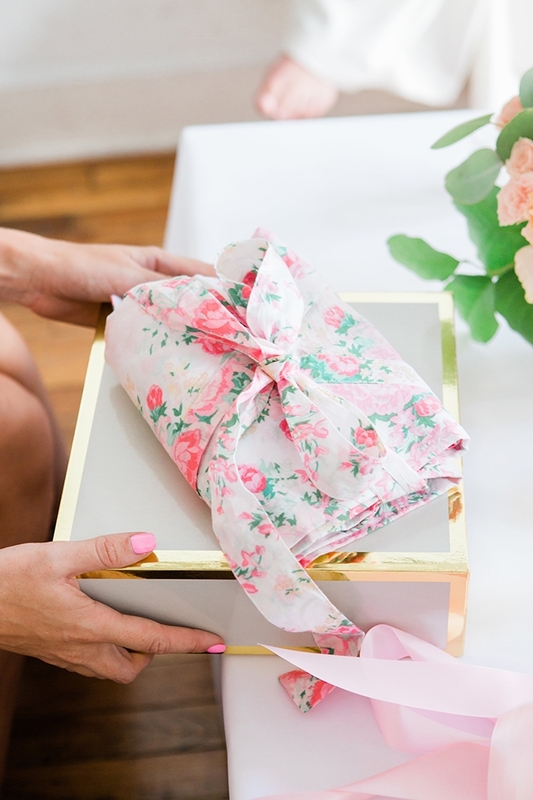 Then on to the main event, the giving! 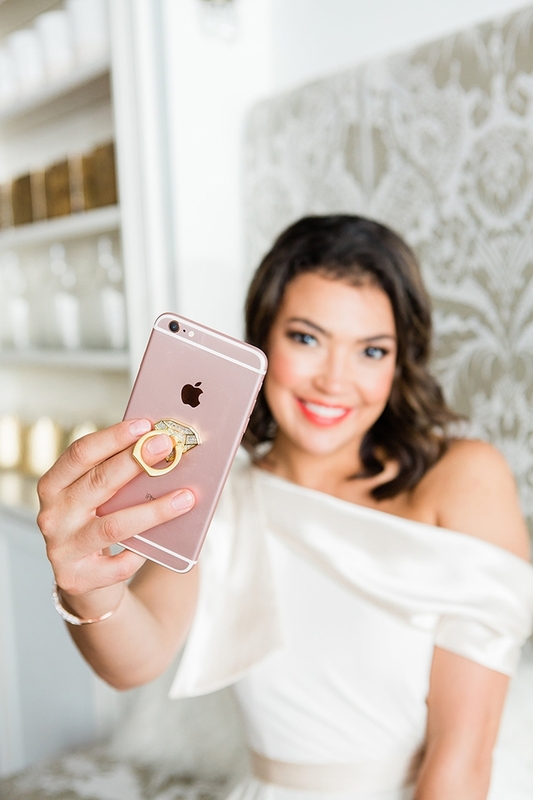 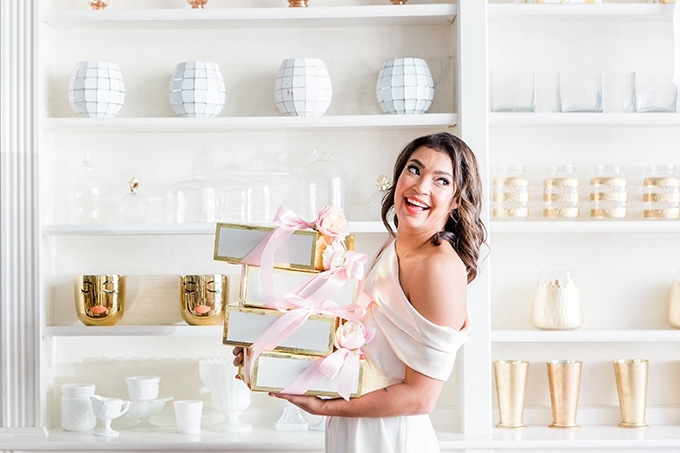 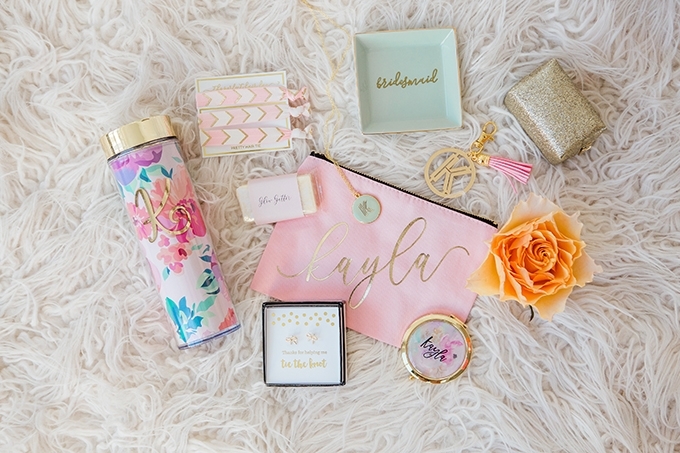 You know David’s Bridal for their fabulous selection of fashion forward, yet affordable bridal gowns and bridesmaid dresses, but did you know they have gifting items too? 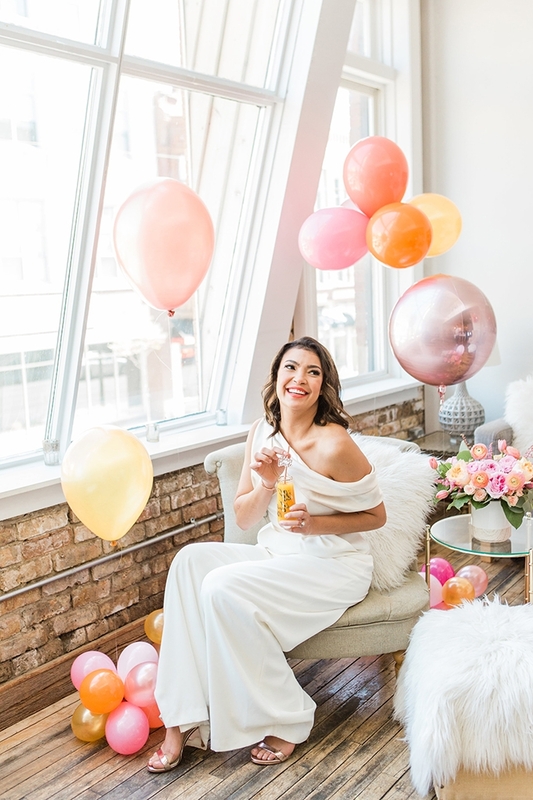 David’s Bridal has everything your gals will love: chic printed robes, cute monogrammed water bottles, glittery bath bombs, adorable hair ties, and more! 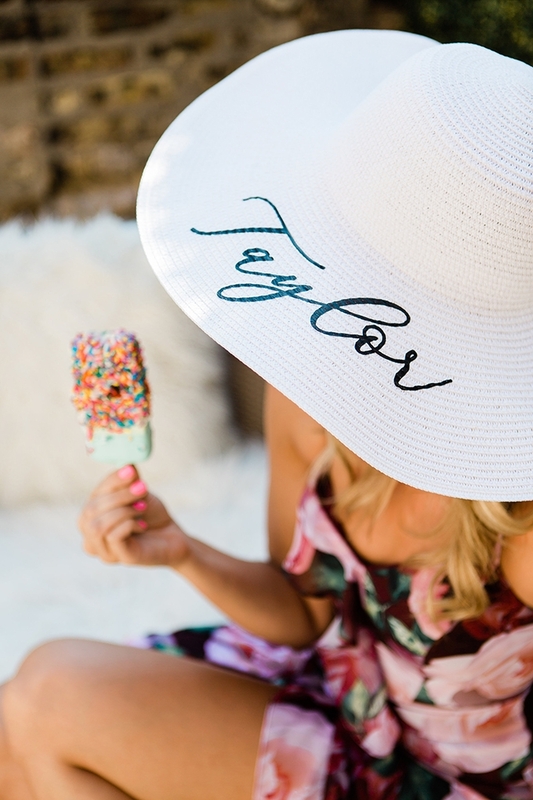 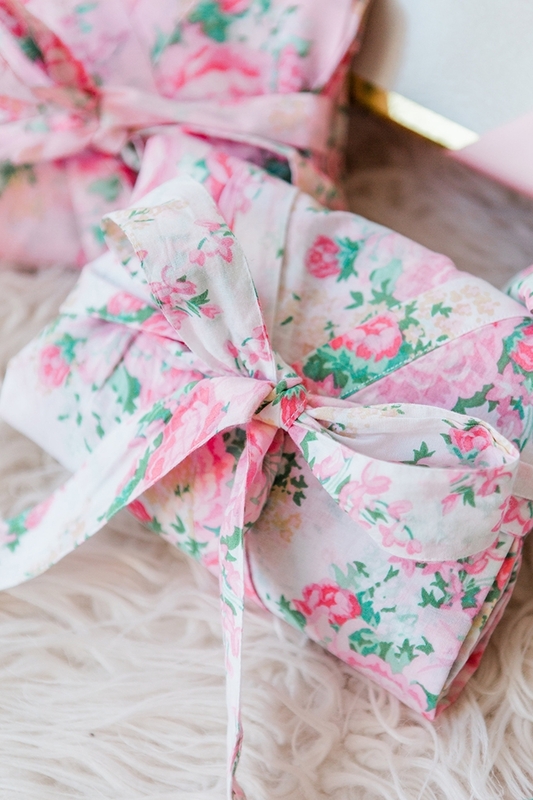 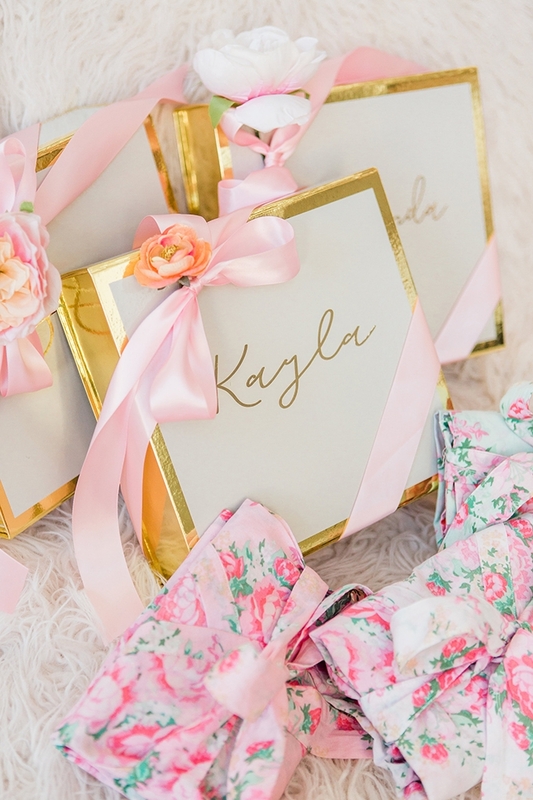 Their personalization and color options make it easy to give custom gifts like makeup bags, compacts, and oh-so-chic floppy hats (bachelorette pool party anyone?) 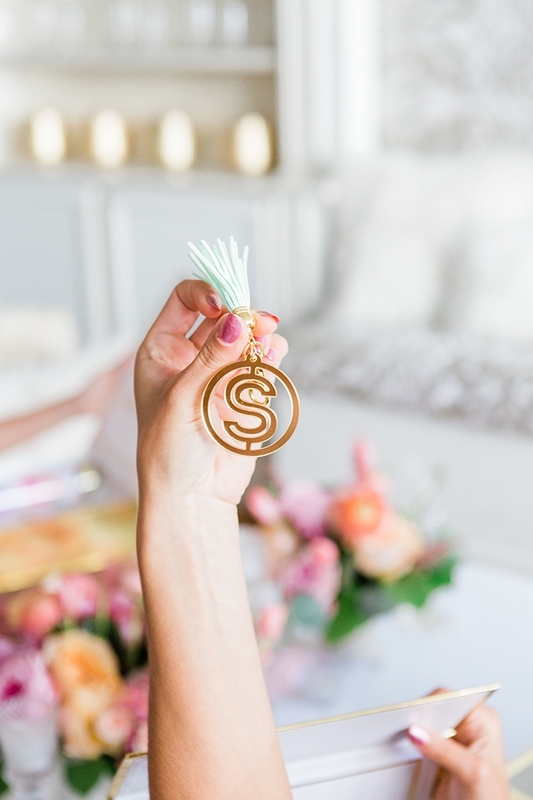 Our favorites were the monogram tassel key chains and gold necklaces! 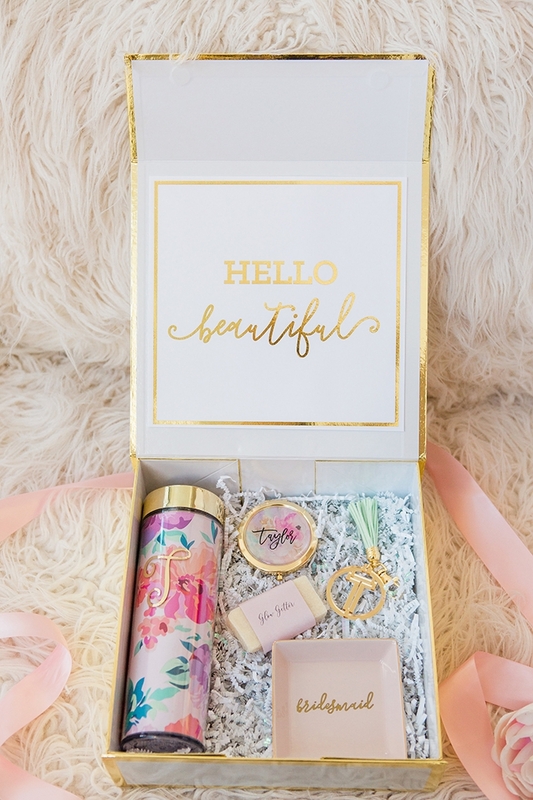 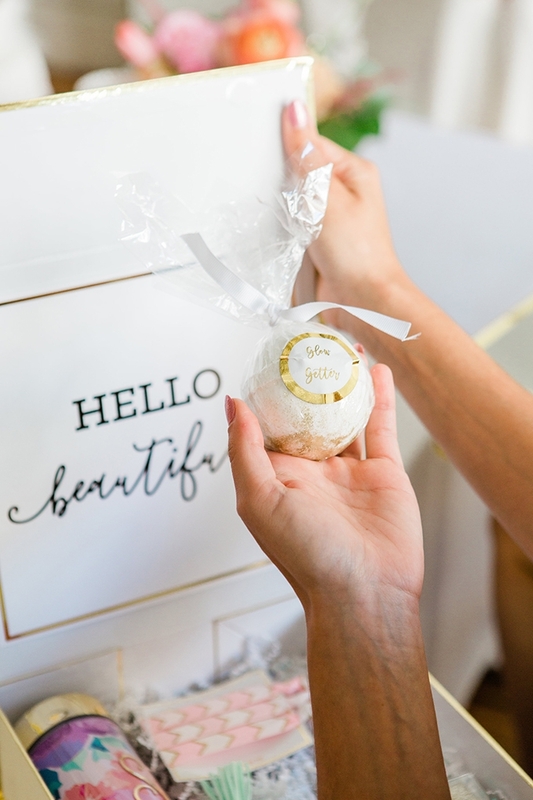 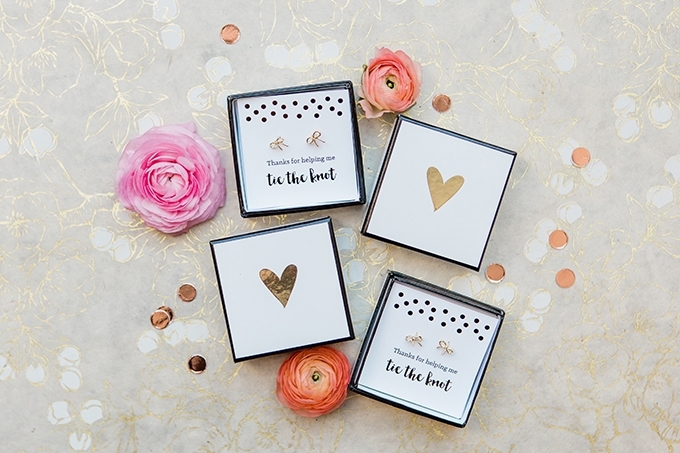 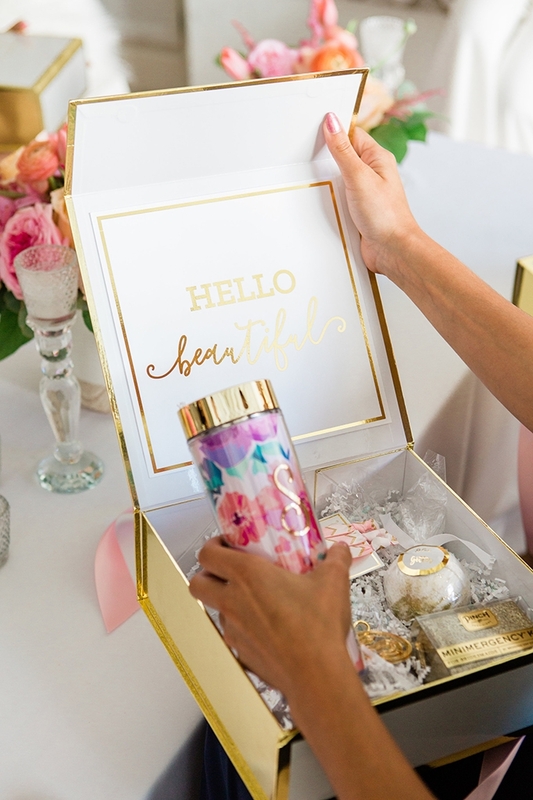 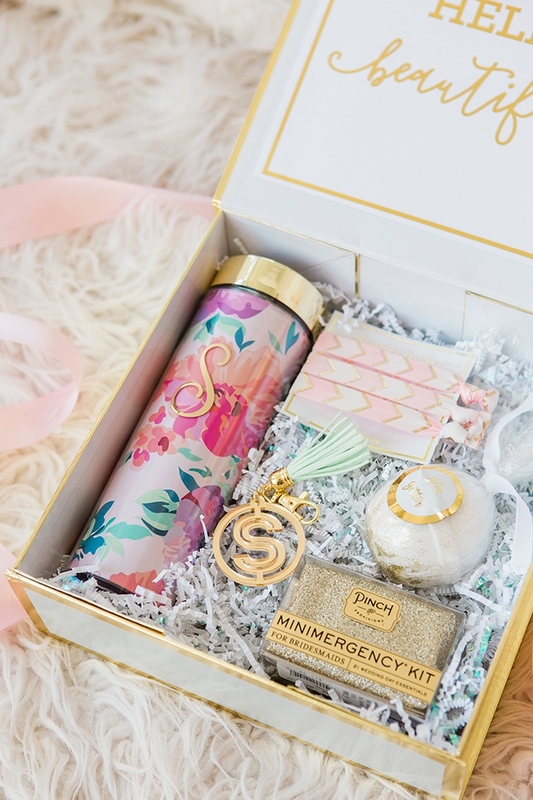 David’s Bridal has what you need to find something for everyone, and not to mention, the prettiest personalized box to package it to perfection. 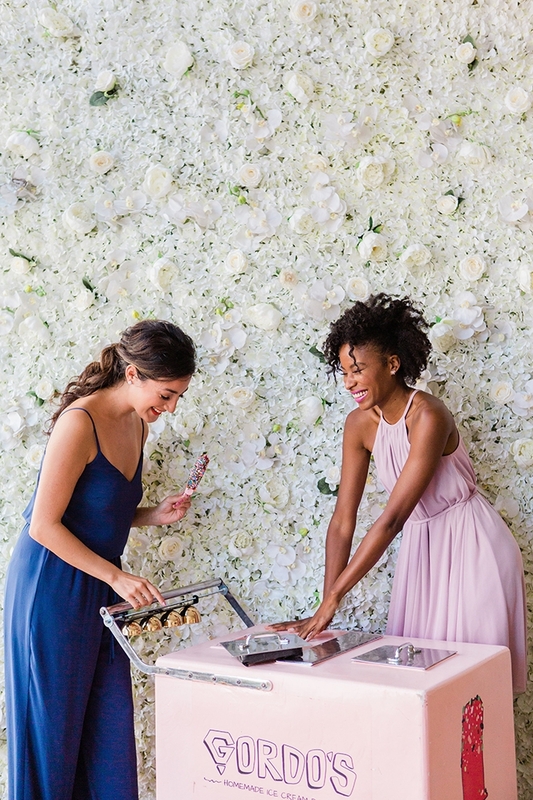 Chicago’s DL Loft and DL Studio made the perfect setting for this stylish soiree. 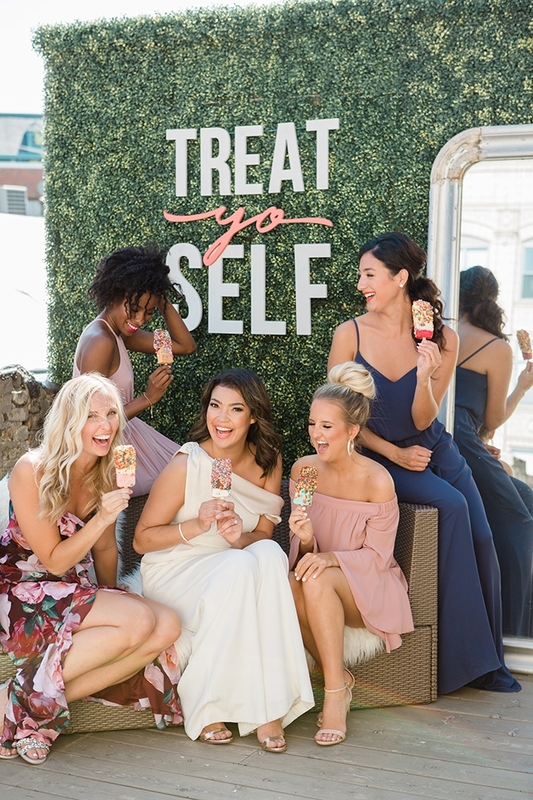 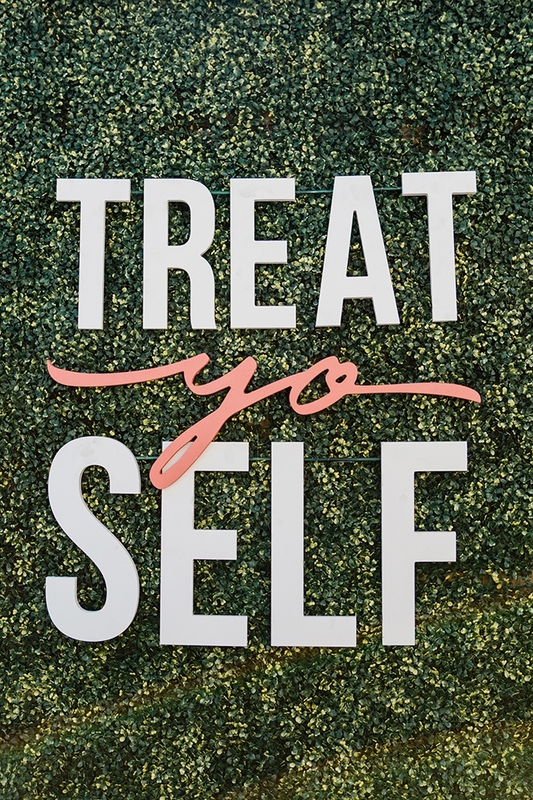 Obviously, this is a time to “treat yo’ self”, and what better way than ice cream pops on the rooftop? 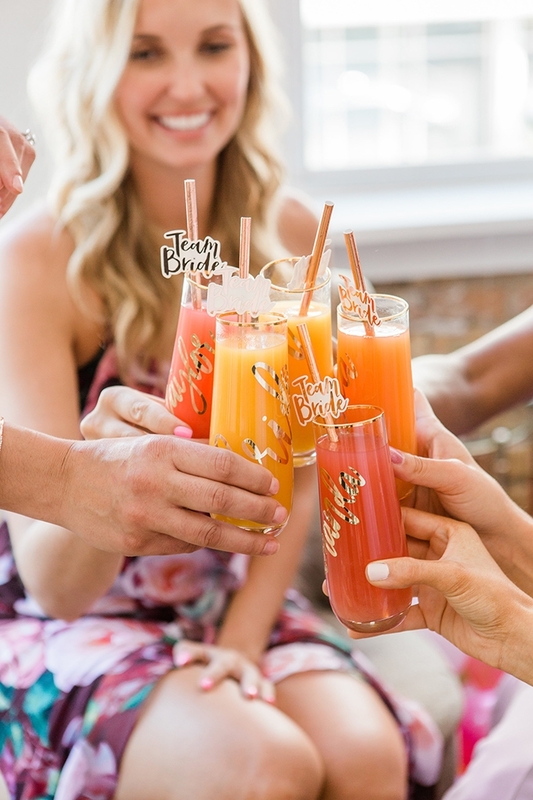 It’s the only way to end a day of fun with the best #bridetribe ever!